It was a blockbuster month in America for jobs. The U.S. economy added 271,000 jobs in October, far better than sluggish gains in September and any forecasts and the best monthly gain of 2015. The unemployment rate also fell to 5%, its lowest level since 2008 and half of the 10% rate in the aftermath of the financial crisis. Before Friday's good job news, the concern had been that the global economic slowdown was starting to affect hiring in the United States. Job growth has slowed down considerably since July. But Friday's strong number tones down those fears -- for now. "This is the best jobs report of this year," says Andrew Chamberlain, chief economist at Glassdoor. "It was a very positive jobs report." Hiring was across the board between too. Health care added 45,000 jobs, professional and business services gained 78,000 jobs and construction added on 31,000 new jobs. And wage growth finally showed signs of life. Average hourly earnings rose 2.5%, its best pick up since 2009. Another big improvement was that more part-time workers found full-time work. During the recession the number of people who took part-time jobs but wanted full-time work rose to 9 million workers. That's now down to 6 million -- a healthy sign. The decline in part-time workers shows that business owners are confident enough about the economy to take on more full-time employees, says Andrew Milligan, head of global strategy at Standard Life Investments. 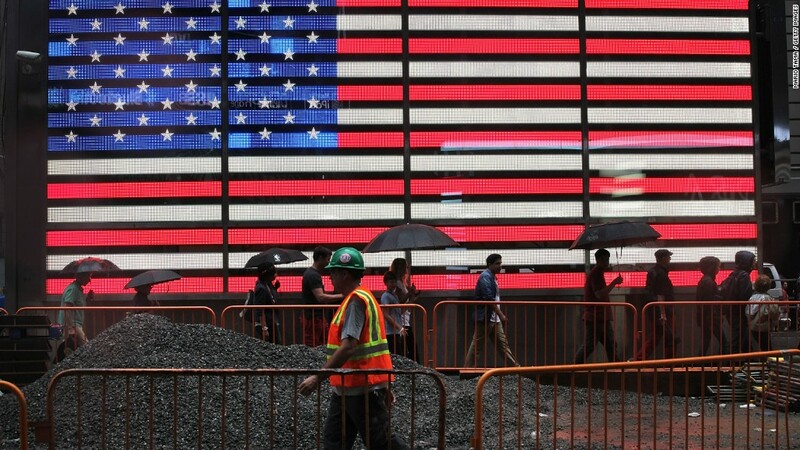 "The U.S. economy is back into a quite positive trend," says Milligan. He adds that business owners can now say, "'Yes, we can really start making more of a permanent commitment." Job gains in August were revised up by 17,000 jobs, while gains in September were modestly revised down. The solid jobs number has major implications for the Federal Reserve. Its officials, led by Chair Janet Yellen, are strongly considering raising interest rates in December for the first time in almost a decade. Rates have been at zero since the financial crisis in 2008. Today's better-than-expected report increases the odds the Fed will act in December, experts say. "They're going in December," says Brad McMillan, chief investment officer at Commonwealth Financial Network. On the October jobs report: "It's extremely good."